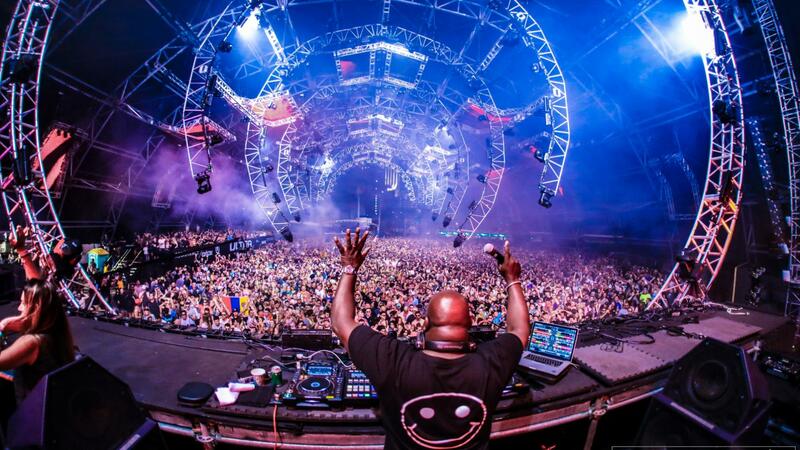 Sound Investment provided the Funktion-One sound system for the RESISTANCE: Carl Cox Megastructure stage at Ultra Music Festival in Miami Florida by the direct request of Carl Cox himself. 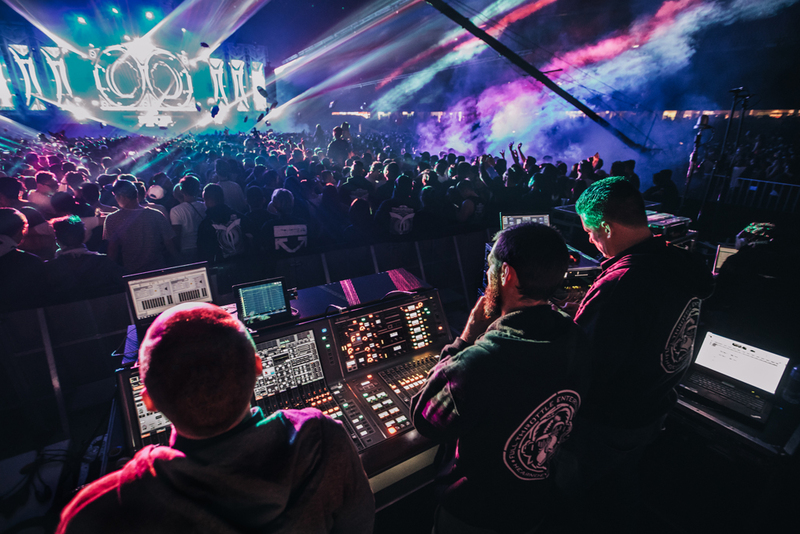 Cox regularly turns to Funktion-One founder Tony Andrews to deliver the finest sound reproduction, and, to that end, the system at his stage at Ultra was a tour de force of Funktion-One’s flagship technology and philosophy. Due to Andrews’ passion for accuracy, he has developed strategies that fix mechanical anomalies with mechanical solutions and acoustic issues with acoustic solutions. The main speaker hangs were a full contingent of Vero cabinets. Vero is a large format speaker system that skilfully melds point source coherency with many of the conveniences of vertical column array systems. The system’s throw and coverage can be tailored to suit the venue and 12 Vero cabinets per hang ensured that each audience position from the front to the back had excellent imaging. Vero was powered and processed by Lab.gruppen PLM20K amplifiers and LM44 system controllers, which are specifically utilised to take advantage of their high power output, precise signal processing, and Dante networking capabilities. All communication between DJ booth, monitor beach, FOH and amplifiers was accomplished using managed switches and fibre optic links. The low frequency range of the music programme was reproduced using ground-breaking concepts in fixture design and system deployment. The venerable V221 is a dual 21″ folded horn with exceptional transparency and output. The ultra-low frequency range between 20Hz and 45Hz was reproduced using Funktion-One V132 enclosures, which utilise a 32″ cone driven by a 10,000W positioning motor – the Powersoft M-Force. Functionally, combining these two cabinets results in zero equalisation being required to achieve a flat frequency response from 90Hz to 20Hz, with tremendous impact and deep resonating bass without limitations. The V221s and V132s were arranged in two single stacks, both with minimised horizontal dimensions. The result is a smooth coverage pattern in both the time and frequency domain due to the minimisation of inter-cabinet arrival time differences. Cox also requested that the Funktion-One PSM318 be used onstage for DJ monitoring. The PSM318 is a floor-standing, four-way monitor system that features two 18″ drivers for low end, and a tri-axial low/mid/high driver for precise and coherent wave-front arrival regardless of where the listener stands.